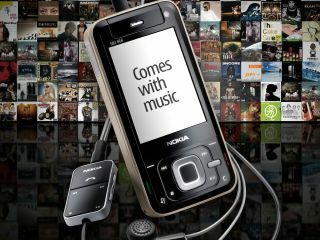 Nokia has denied that its recently launched Comes with Music offering is identical to the Universal Total Music store. According to the Finnish company, Comes with Music "is completely independent from the Universal music store". Universal was "simply the first of these [record companies] to publicly sign on," Engadget reports. Nokia's Comes with Music service is set to launch sometime in 'mid-2008' but details are still sketchy. What we know is that if you buy a compatible handset (the price is still unknown, but it'll be 'competitive' according to Nokia) you'll be able to download an unlimited amount of songs which will be yours to keep forever. "We set out to create the music experience that people are telling us they are looking for - all the music they want in the form of unlimited downloads to their mobile device and PC," Anssi Vanjoki, executive vice president and general manager of multimedia at Nokia, said in a keynote speech attending by Tech.co.uk in Amsterdam on Tuesday. In launching a free music service, Nokia may risk killing off its recently opened Nokia Music Store. The service debuted in the UK just last month and will be rolled out across Europe and the rest of the world next year.